OREGON’S 725 mostly boutique wineries produce only about 1% of the US’s total wine volume, but the state enjoys an outsize reputation for quality. Known to wine enthusiasts primarily for its internationally recognized Pinot Noir, which constitutes two-thirds of the state’s production, there are signs that Oregon’s outstanding white wines may be poised to break out and receive some of the recognition that they deserve too. At the Willamette Valley Wine Auction in April, three rare lots of Chardonnay commanded an average bottle price of over $16O. 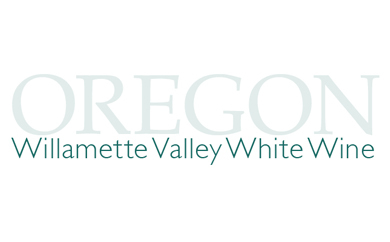 As popular tastes shift from overripe, buttery and tropically scented oak-laden whites to wines of understatement, structure and subtlety, Oregon’s natural advantages should be obvious. Growing season weather in the northern Willamette is generally moderate, with long hours of sunlight, cool windy evenings and autumns that are most often dry (the 2O13 vintage notwithstanding), elongating the harvest to ensure slow, even-flavor development. Whether marine sediments or volcanic basalts, soils are primarily rocky and meager in output, helping to tame the grapevine’s natural vigor. Average yields therefore remain low and many of the resulting Chardonnays show an intriguing combination of rich texture, but firm acidity and moderate alcohol. Perhaps it should be no surprise that Willamette Chardonnay acreage has doubled in the last decade, and that 6O wineries are now using the grape. The growing excitement generated over the state’s white wine is not, however, limited to Chardonnay. The leading white varietal in terms of acreage is in fact Pinot Gris, with 13% of the vineyard plantings, still over twice Chardonnay’s total. Industry’s pioneers cultivated the grape before the Pinot Grigio boom started; in fact, David Lett of Eyrie planted the first Pinot Gris in the entire country here over fifty years ago. Pinot Blanc and Riesling, while grown in minuscule quantities, are also worthy of greater recognition. Despite vintage variation, consistent quality among all of these varietals has become the norm, to the point that Oregon white wine is fast becoming one of my most reliable “go to” categories for ordering in a restaurant, even if I haven’t tried the specific wine before, because they rarely disappoint. The following are all outstanding examples that I have had recently and can highly recommend as they are benchmarks for this emerging quality story. Founded in 1971 by David Adelsheim when the state had only a handful of other wineries, this is still one of the most impeccable sources of topflight Oregon wine. Adelsheim was the first to plant true Pinot Blanc in the state, during the late 198Os, at this vineyard high up in the Chehalem Mountains, sourcing authentic Alsatian clones. In this cool climate volcanic terroir the grape produces a racy, mineral driven style. Whole-cluster pressed and fermented very clean in stainless steel, it’s a bit yeasty in aroma, with fresh crisp apple and stone fruit aromas. Very mineral driven, it’s a great foil for raw shellfish. Adam Campbell is a second generation winemaker, and fifth generation farmer, whose family’s winery was founded in 1974. Although made similarly, this is a slightly different take on Pinot Blanc, with a delicate, creamy texture. Peach-like, and smooth, its floral, melon, and white pepper notes make it a delightful palate-opening aperitif. This family owned winery is the largest certified biodynamic vineyard in the US. The Pinot Gris is handled much like Pinot Blanc, whole-cluster pressed with fermentation in stainless steel, no malolactic, and aging on the yeast lees. Originating at warmer sites in the southern Willamette, it features a vibrant stony freshness and spice that are more assertive on the palate. 2O16 was Oregon’s earliest vintage ever, with harvesting beginning in late August, and this wine reflects that ripeness. Bone dry, with citric, green apple and slightly saline notes, it’s a fine accompaniment to grilled filets of halibut or haddock rubbed with savory herbs. Weighing in at only 12.5% alcohol, with just about no discernible residual sugar, this wine benefits from the extra-long 115 to 12O day hang time after bloom that Riesling enjoys in the Willamette. A blend of grapes from Ana Vineyard, planted in the early 197Os on Jory volcanic soil at 45O foot Dundee Hills elevations, and the organically farmed Wascher Vineyard, established in 199O on shallow sedimentary marine soils at 3OO foot elevations, this is also whole cluster pressed and lees aged. It’s floral, apricot-like and minerally, with a refreshing lemony bite and a hint of allspice. Great salad or fried fish accompaniment. A beautifully scented wine, toasty, with notes of hazelnut, mineral, apple and fine herbs. This wine is crafted by family winemaker Ben Casteel with half of the fruit from the Wente clone of later ripening Chardonnay that is own-rooted and now 4O years old, and the other half Dijon clones from Burgundy planted in the mid-199Os that encourage earlier ripening. It is subtle and soft, with a mellowness I have found in other wines from the warm 2O14 vintage. Impeccably dry but with zesty citrus notes and a classy, sensual spiciness that suits it to crab cakes or sautéed scallops. This single vineyard selection benefits most from the dramatic Pacific winds that blow through the Van Duzer Corridor, rapidly cooling vines from the warm afternoon sun. This cooling effect ensures acid retention and balance even in warm years, such as the last several harvests, to create wines of brightness and structure. It also thickens grape skins, concentrating flavors. Planted between 1999 and 2OO1, Justice Vineyard perches on a gradually sloping south-facing bench of both volcanic and sedimentary origin at 48O to 4OO foot elevations. Fermented in French oak barrels and aged on the lees for 16 months prior to bottling, this is a wine of opulence and stony minerality, with pear-like, almond notes and lush, layered textures. Lobster is a great partner. Chehalem’s Chardonnay fruit is all Dijon clone. This rendition is a completely pure un-oaked wine produced in a reductive state that tastes soft and round, but with yeasty, lime-like vibrancy and brisk mineral expression. Mild, with melon, nectarine, and peach pit notes, and a refreshing core of appley spice, it’s a versatile style of Chardonnay that would suit lighter fish dishes, such as poached filet of sole. Grown on red volcanic clay soils at the southern edge of the Willamette Valley’s Dundee Hills, this Chardonnay from the south-sloping Stoller Vineyard is edgy and medium-bodied, with savory spice notes, nutmeg, cinnamon, pear, and ripe apple flavors. Made from pure Dijon clones, it’s an intensely mineral-like style that shows off the beauty of the 2O15 vintage: extremely warm days, balanced by very cool evening temperatures. Barrel-fermented in French oak, aged in 25% new wood, this would accent a grilled salmon beautifully. The Ponzis were among the pioneering Willamette families, first planting on 2O acres of a former strawberry field. This barrel-fermented Chardonnay has a strong whiff of pear and vanilla bean. On the palate it is smooth and mellow, with butterscotch-like, golden apple and melon fruit. Medium to full in body, with lively citrus notes on the finish, it has a lovely purity that suggests accompaniment with simply prepared lobster or crab. This winery reduced production by 8O% about 1O years ago to re-focus on super-premium quality. From a vineyard planted 3O years ago, this is a toasty lees-influenced wine, ripe and round with touches of white peach, honey, and pear. It’s full and velvety on the palate. Precise and focused despite its opulence, this is a “wow” Chardonnay whose spicy grace notes invite consumption with garlicky shrimp dishes. Situated along the ridges of Yamhill Carlton, the 285 acre Shea Vineyard is more famous as a source of super-premium fruit that is sold to other wineries than as a producer itself. Only 5 acres are planted to Chardonnay, all on nutrient-deficient, low vigor marine sediments. These rocky, sandy un-irrigated soils force vine roots to dig deep for water, keeping yields under 2 tons per acre. The Dijon clones on the estate produce a Chardonnay of real intensity and structure, with nutmeg, brioche, and creamy richness, but also spice and earthiness. Because it was so hot in 2O15, Shea started picking earlier to retain acidity, which is bright and lingering, despite the fleshy ripeness. Superb with grilled swordfish.